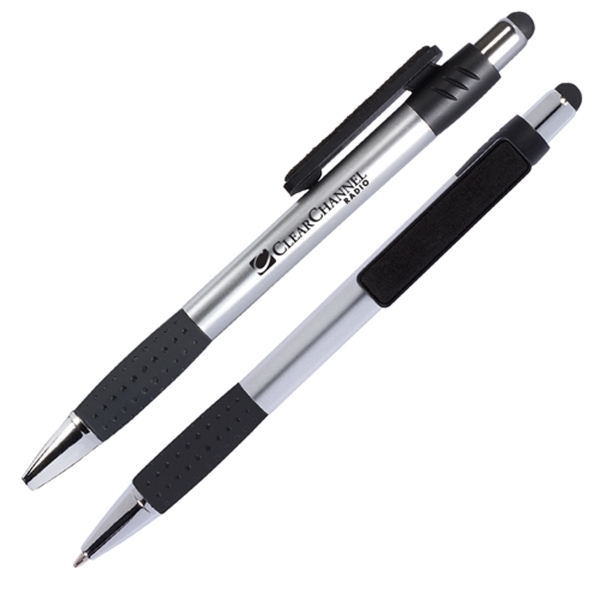 Put your brand at the crossroads between traditional writing and high-tech navigation with the Slim Tech stylus pen. 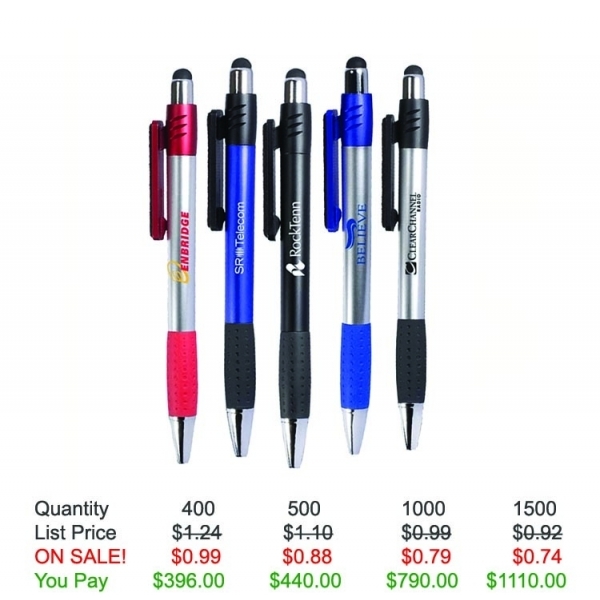 Each ABS plastic pen features a comfort rubber grip, a plunger action mechanism that reveals a medium point black ink ballpoint tip, a screen cleaner on the pen's clip, and a soft silicone stylus on the plunger. 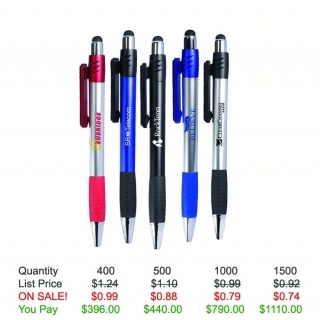 Choose from several pen colors and add your brand in your choice of imprint methods and color options. 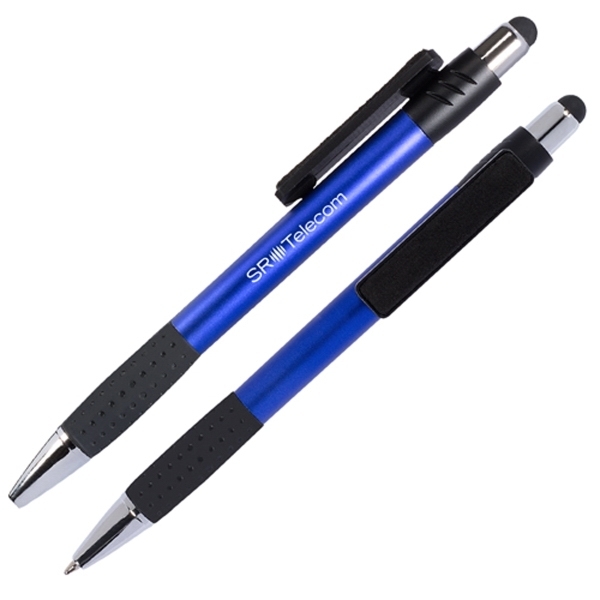 This promotional classic is great for trade shows, reception area giveaway and more! 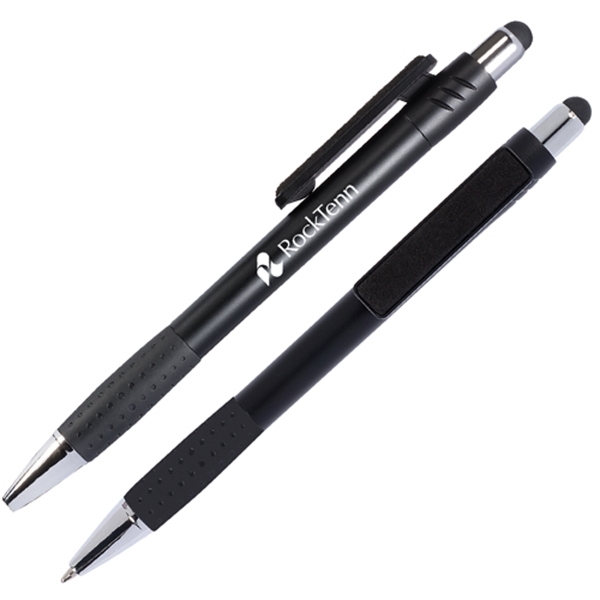 This pen also comes with Free Setup Free Artwork and Free Shipping. 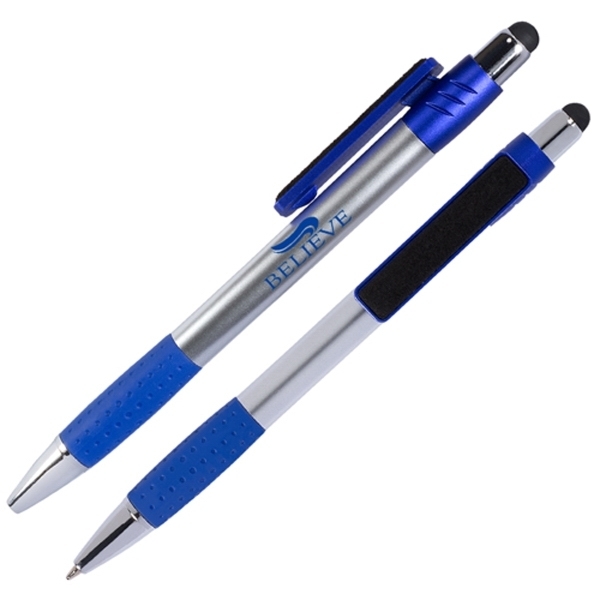 Item Color: Black, Blue, Silver W/Black, Silver W/Blue, Silver W/Red. 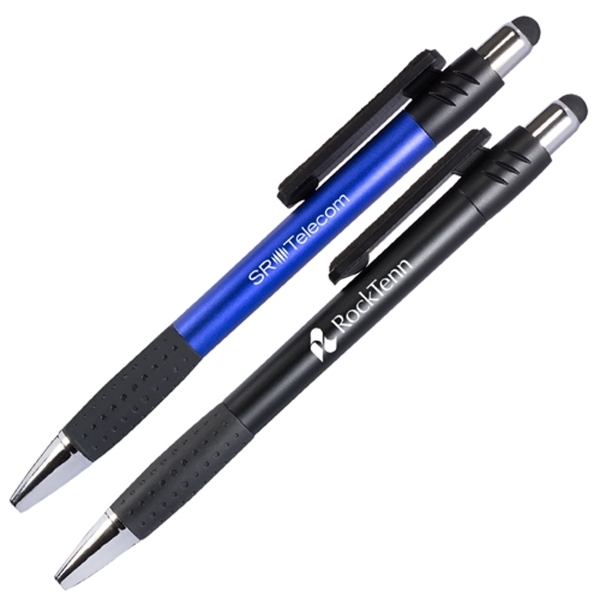 Imprint Size: 1 1/2" x 1/2. Shipping Weight: 600 pieces per carton, 30 lbs per carton - FREE Shipping!